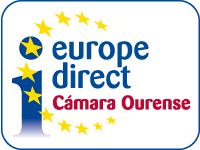 LA CÁMARA DE COMERCIO DE OURENSE INICIA SU PROCESO ELECTORAL CON LA EXPOSICIÓN DEL CENSO A PARTIR DEL MIÉRCOLES 18 Y HASTA EL PRÓXIMO 6 DE NOVIEMBRE. PLAN DE COMERCIO MINORISTA. CONVOCATORIA DE AYUDAS A PYMES Y AUTÓNOMOS PARA EL DESARROLLO DE DIAGNÓSTICOS DE INNOVACIÓN COMERCIAL.